What is Journeys of the Heart? Journeys of the Heart is a non-denominational ceremonial ministry founded by Marguerite Sexton and legally incorporated in the Commonwealth of Pennsylvania in 1996. Journeys of the Heart performs wedding ceremonies, baby blessings, funerals, memorials and other ceremonies to mark life events. We are an organic ministry in that we derive our spiritual guidance from people who request our assistance as it responds to their own particular requests. Members may be unaffiliated with a traditional religious organization or choose our congregation and services as an alternative or enhancement to their own. All couples and all traditions – Journeys of the Heart honors and welcomes you. I want Journeys of the Heart to perform a ceremony for me. What happens next? Contact us! Call 215-663-8980 or email journeys@journeysoftheheart.org. Our Executive Director Diane Smith-Hoban, will answer any questions that you may have about our services and gather information about you and the type of ceremony that you are seeking. Then if you’d like, she will ask the officiant of your choosing to set up a fun, relaxed and interesting consultation so you can get to know one another and talk in depth about your ceremony. We want you to be happy and comfortable with the officiant standing with you on your wedding day so we offer this consultation with no obligation to be sure you are a great fit! How are you legally allowed to perform wedding ceremonies? Journeys of the Heart is legally recognized as a religious organization and has been since 1996. We hold the same legal status as any traditional church or religion. We are non-denominational and bring no religious or spiritual agenda of our own to our work with couples. This is so we can meet the needs — spiritual, secular or anywhere in between — of anyone who comes to us seeking meaningful ceremonies. We happily work with couples of all backgrounds, traditions, beliefs and who may belong to other faith communities or none at all. What qualifications do your officiants have?  To become certified and commissioned by Journeys of the Heart, our officiants have undergone a thorough training and internship program through Journeys of the Heart. Our officiants come from a wide variety of diverse spiritual backgrounds; several have been ordained by other churches; and all of them can create wonderful ceremonies for whatever you may be seeking. Every one of our officiants is skilled, personable, professional and interesting and holds a deep love and reverence for ceremony and ritual. What happens if my officiant cannot perform my ceremony due to an emergency? Once we have agreed to perform your ceremony, we consider this a very sacred contract. We offer 100% backup for your ceremony so that even in the event of an officiant emergency, another Journeys of the Heart officiant will be there to perform your custom prepared ceremony. This very rarely happens (thankfully), but be assured if you hire us, we will be there! In fact, in their emergency situations, other area ministers and officiants frequently rely on us as their back up coverage. Journeys of the Heart has wonderful officiants in the entire Philadelphia metropolitan region, as well as the Lehigh Valley, Lancaster and Berks Counties. We perform weddings in New Jersey, Delaware, Maryland and the North Jersey and New York Metropolitan area. We officiate ceremonies wherever you are getting married, including churches, reception halls, parks, restaurants, sporting facilities, country clubs, museums, and even at your own home. Do you have a location where we can get married? If you are having an intimate wedding for less than 10 people, we have several facility options in and around Philadelphia that we can talk with you about. There is usually a nominal rental fee for use of a small ceremony space. Several of our officiants have warm and lovely spaces in their own homes and gardens that are perfect for an elopement. Below are some churches and sacred places where Journeys of the Heart officiants have presided at wedding ceremonies. The rules for getting a marriage license depend upon the state you will be married in. New Jersey – you may obtain your marriage license at any issuing office in the state and take it to any other locality within the state for the marriage ceremony. However, if you live anywhere outside of New Jersey and are getting married in New Jersey, you must apply for your license at the same locality where the ceremony will take place. Both parties must be present in person in order to apply for your license. You MUST be married in the same state from which you obtained the license. A Social Security Card along with a government-issued photo ID (such as valid driver’s license) will be required for identification. If there was a prior marriage, applicants must present proof of death or divorce.